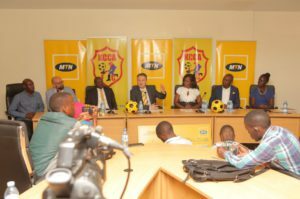 Telecommunications giants MTN have returned to football sponsorship with a bang after they announced their UGX1 290 000 billion three-year partnership with 12-time Uganda Premier League Champions KCCA FC. The announcement was made Friday morning. MTN Chief Executive Officer Wim Vanhelleputte shares a light moment with KCCA executive director Jennifer Musisi. Courtesy photo. “As MTN we are extremely proud to be working with a big yellow brand like KCCA FC, they are champions and we are a big brand, together we can grow and take the game to the next level. I am confident we made the right choice and I am also sure KCCAFC feels the same way,” he added. Kampala Capital City Authority executive director Jennifer Musisi, also an urdent fan of the Kasasiro Boys, led the delegation from KCCA FC which included club chairman Julius Kabugo, Club CEO Josephine Namukasa among other club officials. MTN Chief Executive Officer Wim VanhelleputteJennifer makes the announcement at MTN headquarters in Kampala this morning. Coutesy photo. She promised to help put the funds to good use. MTN has joined Prime Media, Startimes and Britam, among the sponsors of the league champions. This will not be the first time the telecommunication giant will sponsor sports in Uganda as the South African telecommunication giant has sponsored sports before with the Uganda Cranes, Cricket team, Heathens Rugby team and the National Basketball league, among others. 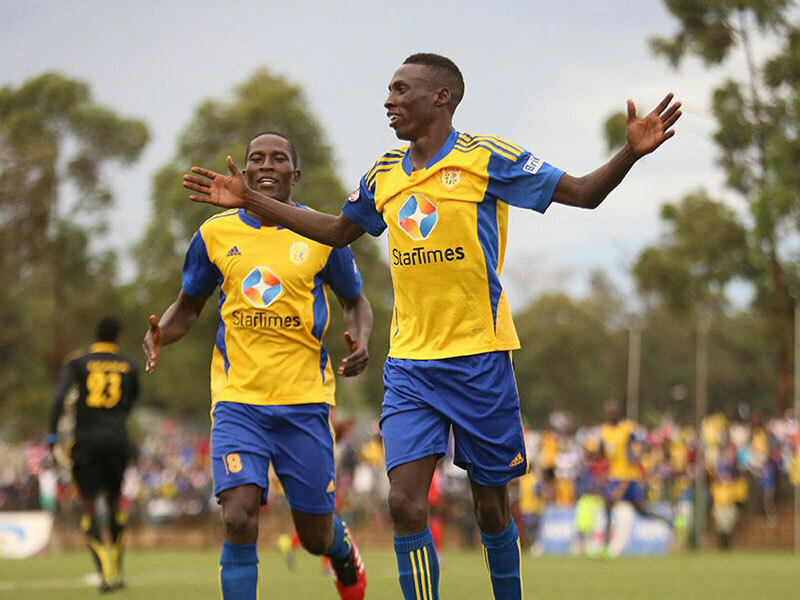 Champions KCCA are on the verge of signing a sponsorship deal with MTN.